The Avro Avian was a series of British light aircraft designed and built by Avro in the 1920s and '30s. While the various versions of the Avian were sound aircraft, they were comprehensively outsold by the de Havilland Moth and its descendants. While outsold by the de Havilland Moth and its derivatives, which first flew more than a year earlier than the Avain, the Avian was used extensively as a civil tourer or trainer, with many being sold overseas, Avians being built (or assembed) by the Whittesley Manufacturing Co., Bridgeport, Connecticut, USA, and the Ottawa Car Manufacturing Co., Canada, as well as by Avro itself. Avro Avian 594 Avian III, SN: R3/AV/101, was owned by Lady Mary Heath and Amelia Earhart. The Avian Amelia flew had an 84 hp (63 kW) Cirrus Mk II engine. 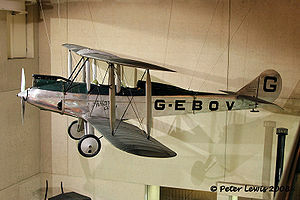 It was originally registered to Lady Heath on 29 October 1927 and given the UK aircraft marking G-EBUG. When Amelia brought it to the United States it was assigned “unlicensed aircraft identification mark” 7083; aircraft not officially certificated in the United States were allowed to be flown as unlicensed but identified aircraft. Avian 7083 was used on Earhart's first long solo flight, which occurred just as Amelia was coming into the national spotlight. By making the trip in August 1928, she became the first woman to fly solo across the North American continent and back. In 2000 Carlene Mendita recreated this flight in the ex-Lang Kidby Type 594 Avian. An Avian (Red Rose) was used by Bill Lancaster on a successful long distance flight to Australia, and another (Southern Cross Minor) on his final record attempt to South Africa in 1933. In July 1930, Winifred Brown won the King's Cup Race flying Cirrus III Avian. One Avian, piloted by Sydney Thorn, took part in the Challenge International de Tourisme 1930 with moderate success (16th place). A single Genet-powered Avian II was bought by the Royal Air Force, while Avians were also bought by the South African Air Force, the Chinese Naval Air Service, the Estonian Air Force and the Royal Canadian Air Force. First prototype, one 75 hp (56 kW) Armstrong Siddeley Genet. Modified first prototype, one 80 hp (60 kW) ADC Cirrus. Further modified Avro 581A for long distance flights, with new wings and modified fuselage. Pre production aircraft, two built. Initial production, 85 hp (63 kW) Cirrus II engine, nine built. Modified engine mount and tubular steel struts, 33 built. 95 hp (71 kW) Cirrus III engine, 58 built. Revised undercarriage and ailerons, 90 built. Two Avro 594 Avian IIIs were converted into floatplanes. Steel tube fuselage. Powered by 105 hp (78 kW) Cirrus Hermes I or 100 hp (75 kW) Armstrong Siddeley Genet Major, approximately 190 built. Version for racing with reduced drag, 16 built. modified one-off long range version for Charles Kingsford Smith, Southern Cross Junior, 120 hp (90 kW) de Havilland Gipsy II engine, with additional fuel tank and revised wings. Long range single seater again built for Charles Kingsford Smith, Southern Cross Minor. 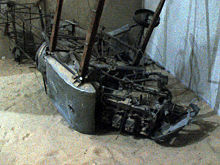 Bill Lancaster would later attempt to fly solo from England to South Africa in this aircraft, and die in the attempt. Low wing monoplane development, two built. Two Avro Avians were on the Australian register in 2009. They are currently stored in the Adelaide Soaring Club hangar at Gawler, South Australia. One is registered VH-UQE, and is apparently airframe construction no. 531. Wop May "The Race against Death - Nercy flight in an Avian." Donald, David, ed. The Encyclopedia of World Aircraft. London: Aerospace Publishing, 1997. ISBN 1-85605-375-X. Jackson, A.J. Avro Aircraft since 1908, 2nd edition. London: Putnam Aeronautical Books, 1990. ISBN 0-85177-834-8. Jackson, A.J. British Civil Aircraft since 1919, Volume 1. London: Putnam, 1974. ISBN 0-370-10006-9. Avro Avian Pictures and Avro Avian for Sale.